A good night’s sleep is a key part of a healthy lifestyle. 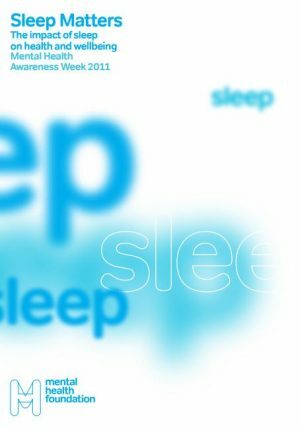 Several years ago, I was involved in writing a report for Mental Health Awareness Week, based on findings from the Great British Sleep Survey. The report argued that insomnia and poor sleep were public health concerns. Fast forward to today, I now have a young family and am even more aware of the importance of sleep on the health of children and adults alike. Research continues to emphasise the link between sleep and mental health. Sleep problems often go hand-in-hand with poor mental health, yet few people who use mental health services receive help for sleep problems. At McPin Foundation, we know from speaking to our supporters that sleep is a big problem for many people. Is this something that mental health services need to think about more seriously? 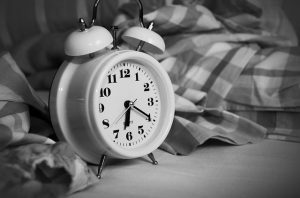 The effectiveness of Cognitive Behavioural Therapy for Insomnia (CBT-I) for improving sleep is well documented, and there is emerging evidence that CBT-I can improve the symptoms of mental ill health too. The basic idea behind CBT-I is to train better sleep habits, identify and reduce the behaviours which make sleep difficult, and eliminate negative thought processes about sleep. This may sound like common sense, but is difficult when there are so many distractions. We live in a 24/7 culture of connectedness. There are increasing numbers of devices which have the potential to interfere with our sleep. Smartphones are almost universal, and some people also monitor ‘health indicators’ through tracking apps and wearable devices (monitoring things like calorie intake, exercise taken, and heart-rate). This begs the question, how helpful is it to track our sleep? Well, one of the peculiarities about sleep is that it arises from the absence of effort. This distinguishes it from almost every other task. In most aspects of life, hard work leads to positive results. This is not necessarily the case for sleep. The more we try to sleep, the less likely we are to sleep. Successful sleepers tend not to lie awake in bed thinking “I must go to sleep now! I need to try really hard to sleep because I have so many things to do tomorrow and I need to wake up early”. Successful sleepers are more likely to think: “It’s that time again, I’m tired, I’ll go to bed and see what happens. I know I’ll fall asleep eventually.” A good analogy is that falling asleep is like training a bird to sit in the palm of your hand. If you grasp too quickly it will fly off again. Anything that encourages us to obsess over the amount of sleep we get will probably lead to bad sleep habits. However, simply being aware of how much sleep we get might be a good thing, enabling us to spot patterns. Apps which are based on CBT-I methods (and designed to improve sleep habits and sleep hygiene) may be helpful, those without this theoretical basis probably won’t be. What does this mean for McPin? Sleep is an area where science has led to knowledge which is directly relevant to people’s lives, and is finally being seen within a public health context. One of our New Year resolutions is to continue supporting research topics that most matter to people affected by mental health issues. Do get in touch and give us some examples of topics you think we should be working on.